Fully licensed & insured on-site technicians to assist in maintaining property value by skilled technicians at an economical price in assisting with high tenant retention and low “room” turns. Recently awarded the 2013 Talk of the Town Customer Satisfaction Award, for nearly ten years we have made customer satisfaction and safety our #1 goal. 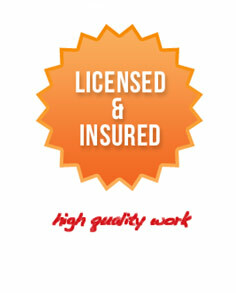 All of our technicians are fully licensed and insured for your safety and theirs. That means you will receive consistently high quality work from safe, reliable, and professional handymen. Providing quality, responsive, cost-effective maintenance of a property not only makes sense from an asset preservation standpoint, but we view it as a part of the foundation of our customer service program. Responsive maintenance can be used as a tenant retention tool, a key factor when negotiating lease renewals on multi-family, office and retail properties, We hire maintenance staff that are skilled in their trade, but also demonstrate good people skills. They are friendly and caring while productive in their trade. Maintenance is necessary to keep a property in a working, livable condition. It includes preventive work, emergency and routine repairs. Maintenance costs constitute a large share of the operating budget and can be reduced through comprehensive planning. A high level of maintenance paradoxically reduces operating expenses because the building is more desirable to live in and, consequently, vacancies drop and rental revenues increase. Reducing internal moves also reduces costs associated with cleaning and painting units. All of the best maintenance services in the world mean nothing if they aren’t there to do the work. Maintenance issues don’t always happen during the convenient 8am to 5pm Monday through Thurs. Consequently, Advanced Maintenance Inc has a 24 hr emergency service line as the backbone of our maintenance services. Our on-call technician can link up at a property on short notice and assist on-site staff in the event of an emergency too large for them to handle alone. Time after time, Advanced Maintenance Inc. 24/7 service has paid off, helping our customers properties not only to win over tenants and preserve the asset, but to create lower loss histories and insurance benefits that others simply cannot provide. Rain gutters: Inspect for secure fastening and clean out. Smoke Alarms & Co detectors: Install if needed, Inspect and test battery. Windows & Doors: Inspect weather stripping, thresholds, hinges, door closers and locks.